Of all the unsettling and unnerving sights on Deadline Day, Zeki Fryers, a 21 year old with just 16 senior appearances to his name, turning up at his new club Crystal Palace in a blacked out Bentley was right up there with the worst of them. There it was, laid bare. The embodiment of British football’s ‘too much, too young’ problem. It also demonstrated the growing unease that permeates the game. The game still remains, on the playing level, a predominantly working class enterprise. It is now being bankrolled, however, by the super rich, making it harder for the fans to connect with the players enjoying this ever increasing largesse with total abandon. 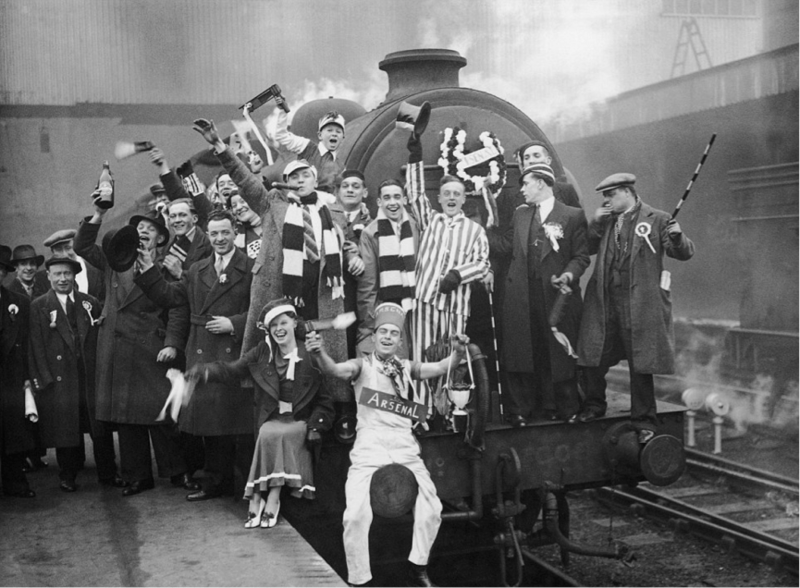 The history of football in Britain is essentially the history of working class escapism. The great, iconic, revered teams were just so because they consisted of ordinary working class men performing extraordinary feats against a back drop of industrial decline and the hollowing out of their communities. Busby’s Babes, Jock Stein’s Lisbon Lions, Brian Clough’s Nottingham Forest. This, however, preceded a more unsavoury time in football’s history, when it failed to keep pace with the changes in society and minority players were treated to routine abuse on the terraces. Interest and support plummeted. The money of Sky Sports has changed all that, bringing us to the curious state of affairs we find ourselves in today. The game has never been more popular, yet those involved in the playing side find themselves under unprecedented scrutiny from society and the media, becoming bitterly unpopular. There are some positives to this. Football remains home to some true dinosaurs. The Malky Mackay saga showed that misogyny, homophobia and racism have not been eradicated from the game totally, and with the growing corporate interests and wider support football now enjoys, it’s institutions are under severe pressure to act. Something to celebrate, without question. Where this is money, however, unsavoury characters often follow. Football has been no different, with agents getting involved with players as young as fourteen, offering questionable advice and chasing money at every turn. Another Deadline Day transfer saw Hartlepool United’s Luke James, an immensely popular lad with the fans and the media, refusing to train and play in order to force through a move to Peterborough United. All of which combines to bring us back to Zeki Fryers. Fans are more determined than ever for football to resist corporate influence and retain its working class identity. To enjoy the glamour, supreme ability and cultural enlightenment that foreign imports have brought, but to still connect with players who they identify as ‘one of their own.’ When these players, however, are being granted exorbitant wages, it is difficult to remain optimistic. This is football’s problem, no matter how many will try to tell you it is the fault of greedy young men. To expect teenagers to be taken out of education at an early age, showered in cash and put under the trust of self interested agents and then understand their position as role models is ludicrous. Bizarrely, we remain more outraged as a society with footballer’s off field flaws than we are with owners buying clubs to shore up support for autocratic regimes and as protection for their dodgy investments. Many football fans will note the irony that while those outside the game use footballers as the benchmark for all that is wrong with the world, these same friends and relatives have probably at some point bought them a card depicting George Best and his famous quote about blowing money on women and booze. If they can’t hack Rooney’s private life, my word, what would they have made of Georgie’s? The new breed of footballer generally behaves very much like all the previous ones, but under greater scrutiny and earning much more money. This is not to grant a free pass to young footballers , but merely to note that, ultimately, they are products of a flawed system. We need to start celebrating those that understand their privileges, while ensuring all efforts are made to sweep unsavoury attitudes elsewhere out of the game. Putting players in better hands earlier on and educating them would be a start. Until the footballing authorities stopped getting weak at the knees at the first sight of an interested party with a wod of cash, however, these systemic flaws in the British game will not be addressed. Players will continue to earn sickening amounts, while fans are charged more and more. The divide between the old working class watching the game and the new working class playing it will grow and grow. All the while, corporate interests, owners and agents will continue to load their accounts. What Jock Stein would have made of it all, I can’t help but wonder.